Dream. Dress. Play. : Make It Monday! 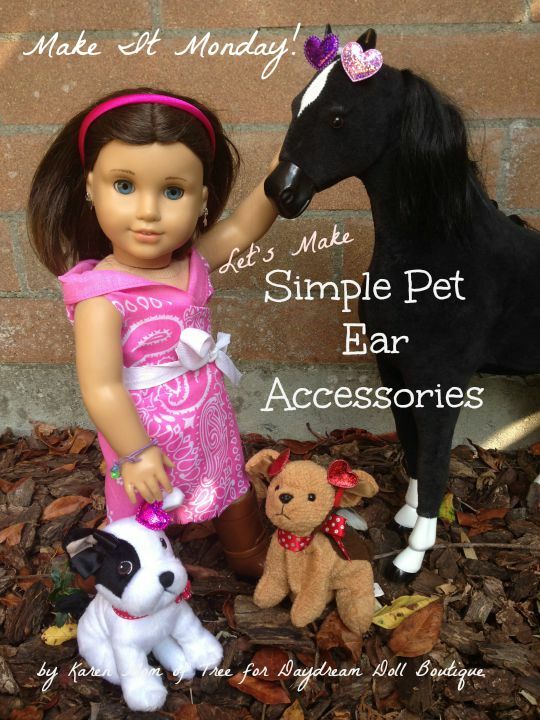 Let's Make Simple Pet Ear Accessories! Make It Monday! Let's Make Simple Pet Ear Accessories! 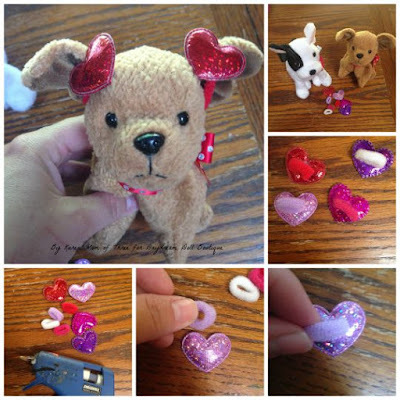 Karen here and today I want to show you a really easy way you can make pet accessories for your dolls pets. Step 1- Plug in your low temp glue. Step 2- Add a dab of glue on the heart and open the hair elastic and press one side into the heart. Step 3- Let it dry and repeat on the other elastics, Then slip on the elastics over your dolls pet's ears and enjoy! Our Newest PDF Sewing Pattern is Here !